WATCH: Andy Murray Reminds Interviewer That Women Win Gold, Too : The Torch The BBC's John Inverdale was asking the World No. 2 how it felt to be the first person to win two Olympic gold medals in tennis. "Umm," the Scotsman said, before bringing up Venus and Serena Williams. Gold medalist Andy Murray poses during the podium ceremony of the men's singles gold medal tennis event at the Olympic Tennis Center in Rio on Sunday. On Sunday night in Rio, Andy Murray won a gold medal in the tennis finals — and first place in fact-checking, too. The world No. 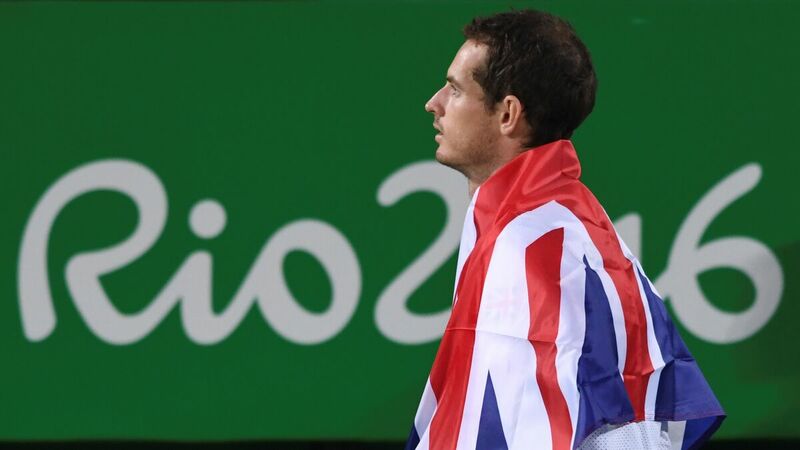 2 had just won the Olympic men's singles title for the second time in a row. BBC presenter John Inverdale stepped up with his microphone. "You're the first person ever to win two Olympic tennis gold medals. That's an extraordinary feat, isn't it?" Inverdale asked. But "I think Venus and Serena [Williams] have won about four [gold medals] each," the Scotsman said with a small smile. His memory was right: Each of the Williams sisters has one gold medal from the singles event, and three gold medals from doubles. And over the weekend, Venus took home a silver medal in the mixed doubles contest with partner Rajeev Ram, giving her a record-tying five Olympic tennis medals. Defending his gold medal in the singles was "obviously not an easy thing to do," Murray said. "I had to fight unbelievably hard." John Inverdale has a bit of a history when it comes to women's tennis. In 2013, he prompted uproar after saying on BBC's Radio 5 that French tennis star Marion Bartoli had to be a "dogged" player because she was "never going to be a looker." " 'You are never going to be somebody like a Sharapova, you're never going to be 5 ft. 11, you're never going to be somebody with long legs, so you have to compensate for that.
" 'You are going to have to be the most dogged, determined fighter that anyone has ever seen on the tennis court if you are going to make it', and she kind of is." After that commentary on live radio, Inverdale wrote a letter of apology to Bartoli, and said, "I do hope that we can leave the matter there now," according to the BBC.